Catalina Maria Johnson » ¡Puro tango, que NO es tango! Only tangos that are not, exactly, tangos! Beat Latino this week is all about…. ¡Puro tango que no es tango! Only tangos that are not exactly, tangos! We’re got flamenco tangos with Diego el Cigala and Martirio, tropical tangos with Ruben Blades, mariachi tangos with Vicente Fernández and Rocío Durcal, salsa tangos with Jerry Rivera, electro tangos with Gotan Project and much, much more! We love the genre-hopping that abounds today in our Latin musical universe! Get your tango on (sort of!) 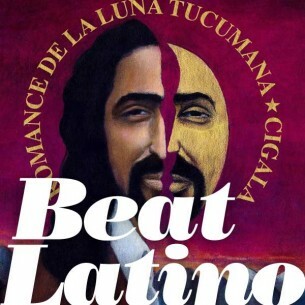 with Beat Latino this week!